Deutsche Rockwool is part of the Rock-wool Group, the world’s largest manufacturer of insulating materials and systems made of stone wool. The group employs around 11,000 people and is represented in over 39 countries. 1. 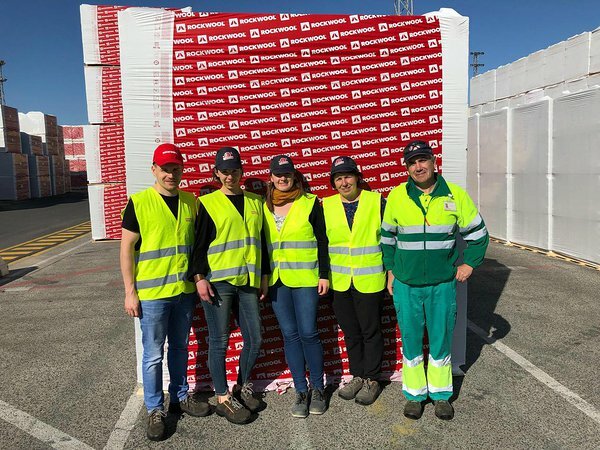 Deutsche Rockwool’s customers were demanding prompt, exact notification of each construction site delivery so they could plan ahead and assist with unloading. 2. It was challenging to enquire about each delivery time (this also added complications for the driver), and report back to the customer. 3. Language barriers with international drivers made it difficult to check delivery status by phone and restricted communication about any delays. Deutsche Rockwool uses Sixfold to gain visibility over their transports. Sixfold uses real-time information from various sources, including telematics data from the trucks carrying out the transport. Excellent customer service: status and ETA in real-time; accurate notification of delivery time; automated push message before delivery. Transport visibility along the entire supply chain: > 90 % transport and 95 % carrier coverage in only 3 months. Leaner administration processes: Faster processing of queries. Straightforward connection of the carrier pool within a few days; no additional effort for dispatchers and drivers.